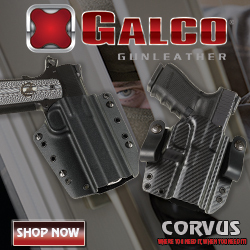 Galco began as a small family business in Chicago in 1969, when it was called The Famous Jackass Leather Company. 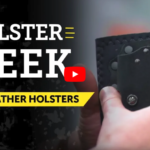 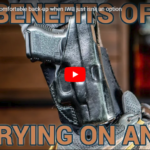 With a name change in the early 1980s and a move to Phoenix in 1983, Galco continued to grow, and has since become the largest manufacturer of leather holsters in the USA. 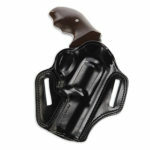 The Galco Combat Master belt holster for the Charter Arms Professional revolver features premium saddle leather, double-stitched seams and hand-molded fit. 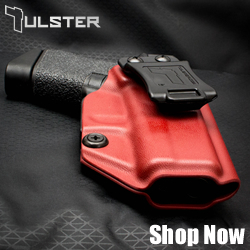 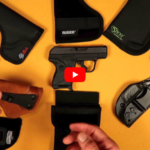 A look at several Ruger LCP II holsters, including IWB and pocket. 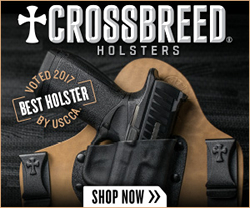 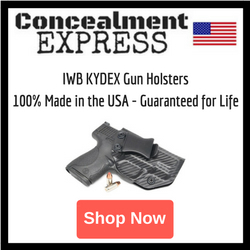 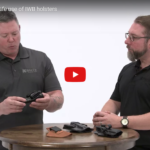 The holsters shown are from Uncle Mike’s, Galco, WRB, DeSantis, Ruger, Sticky Holsters, Vedder Holsters, N82, and UnderTech UnderCover.